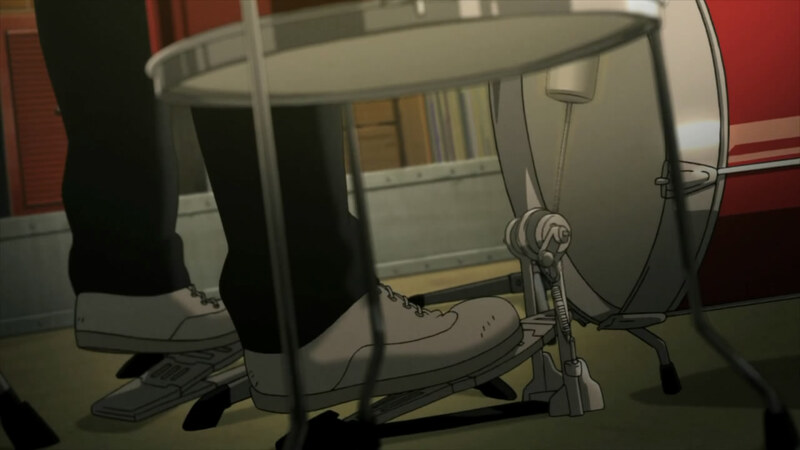 With solid music already in a lot of the other new shows this season (including Lupin which Watanabe Shinichiro worked on too), it's easy to forget we had this coming as well. 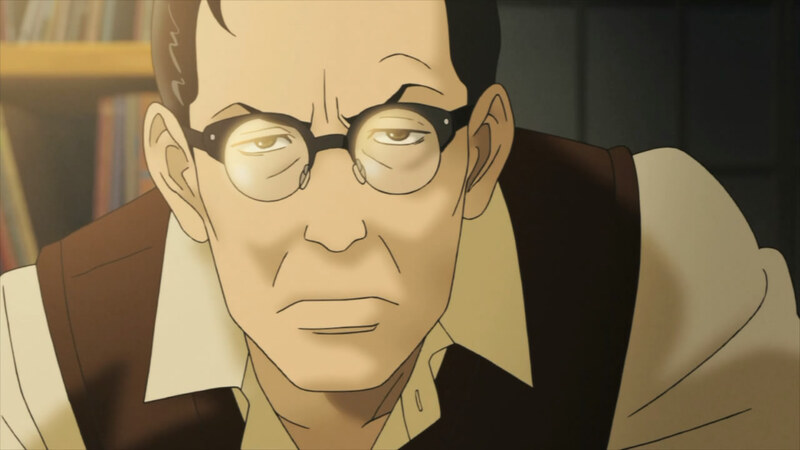 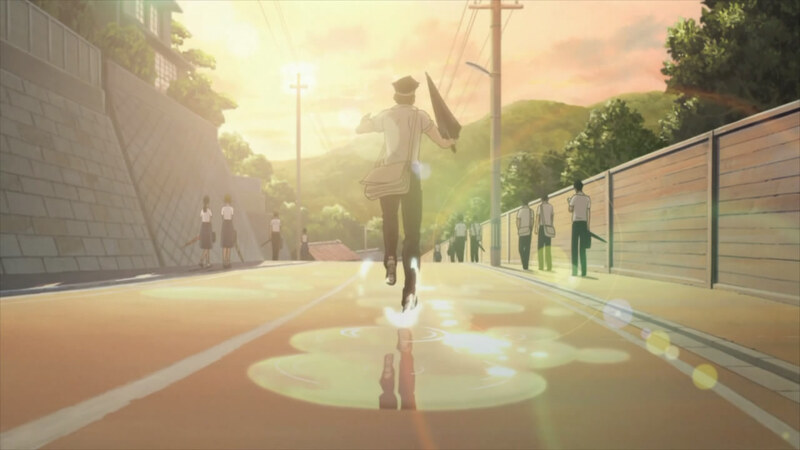 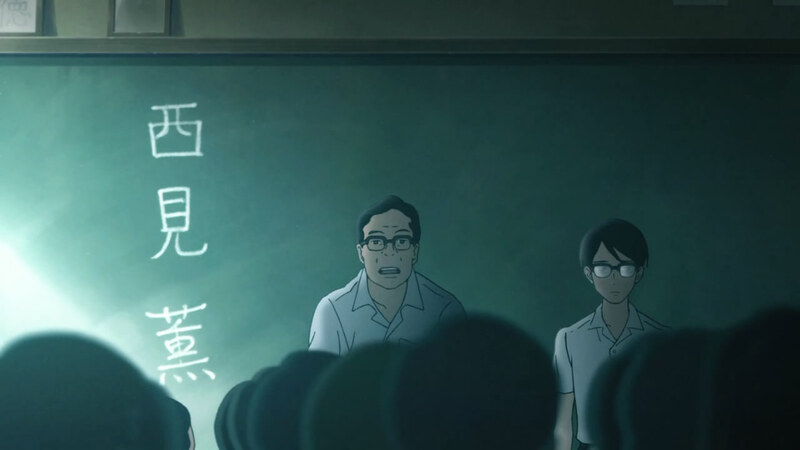 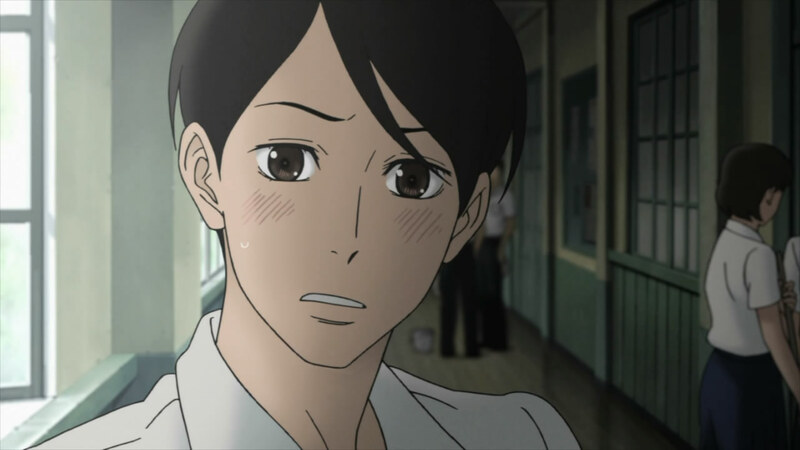 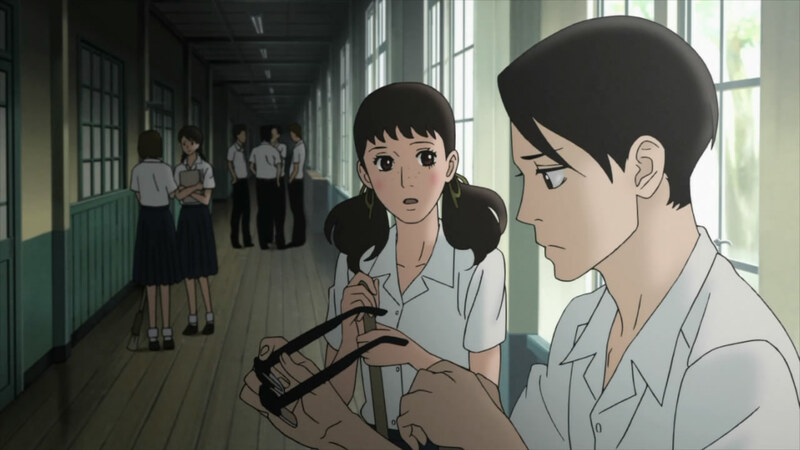 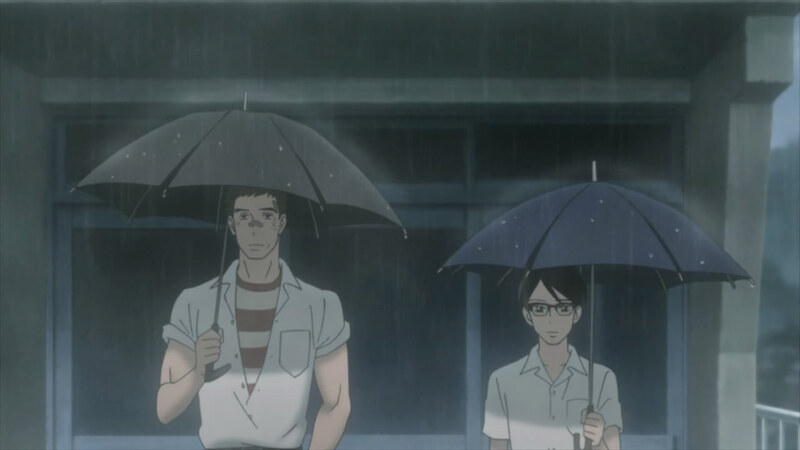 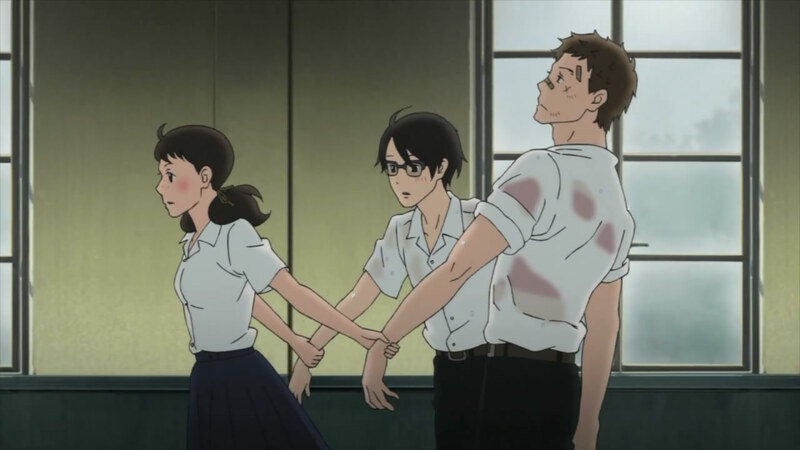 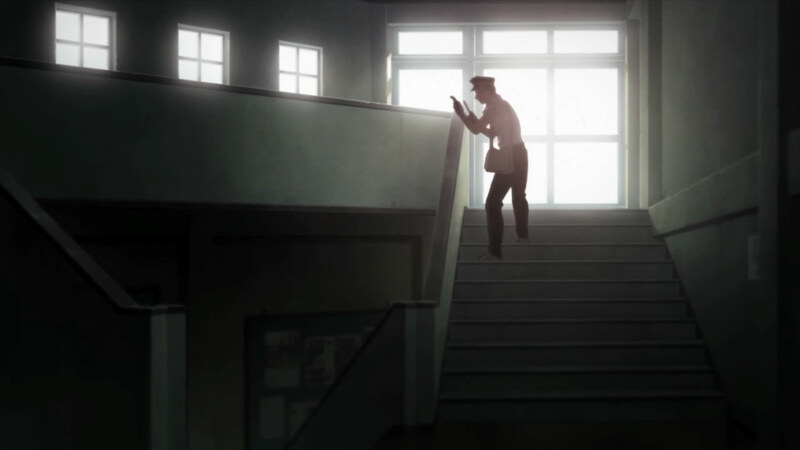 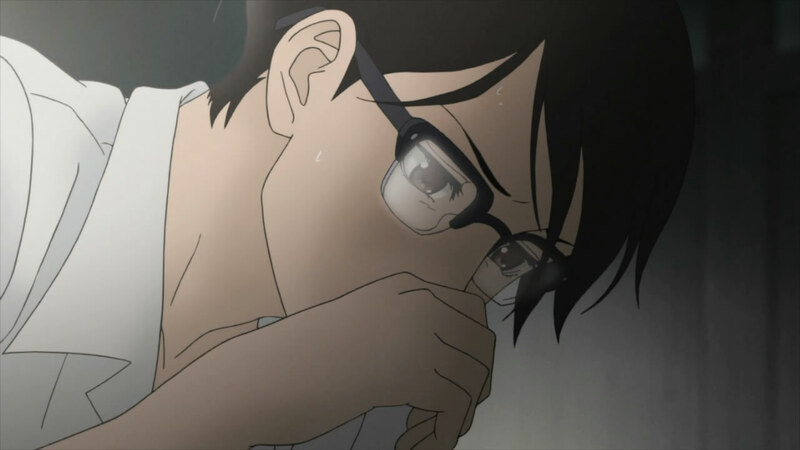 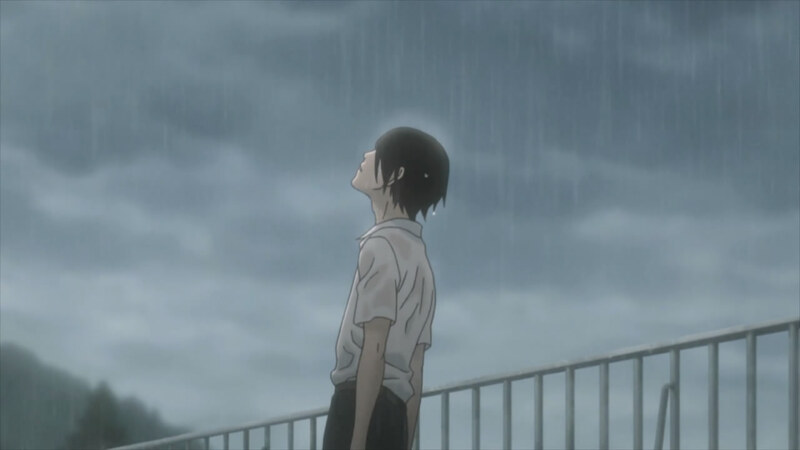 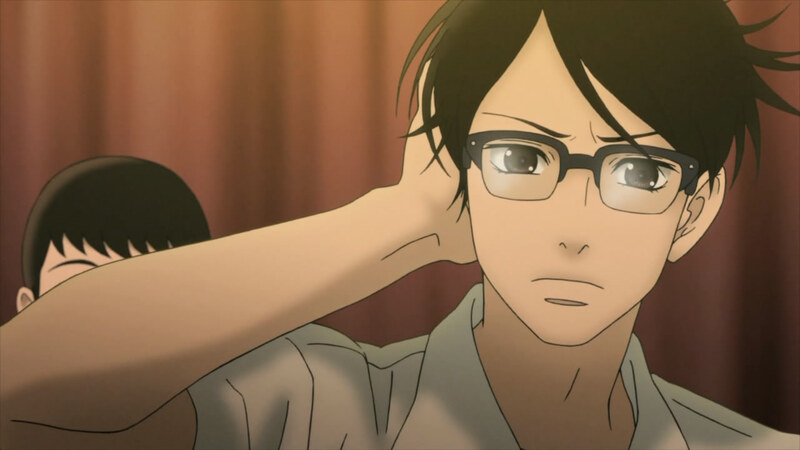 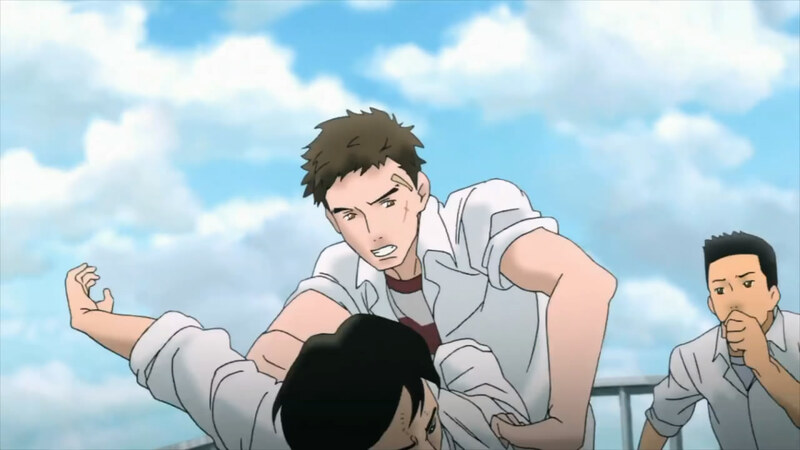 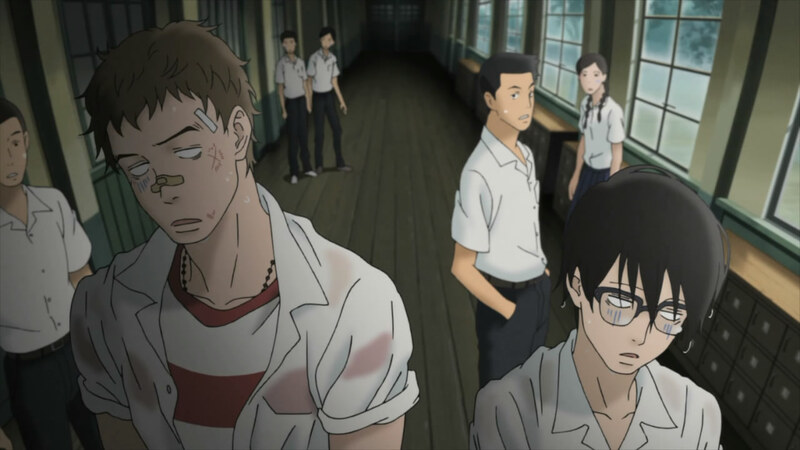 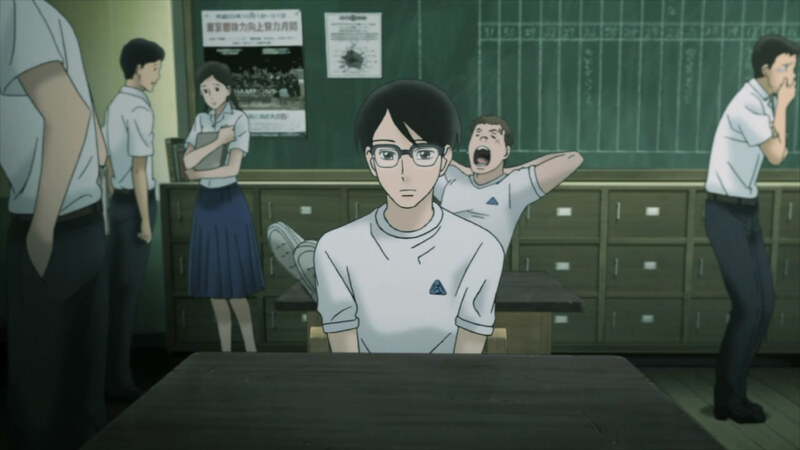 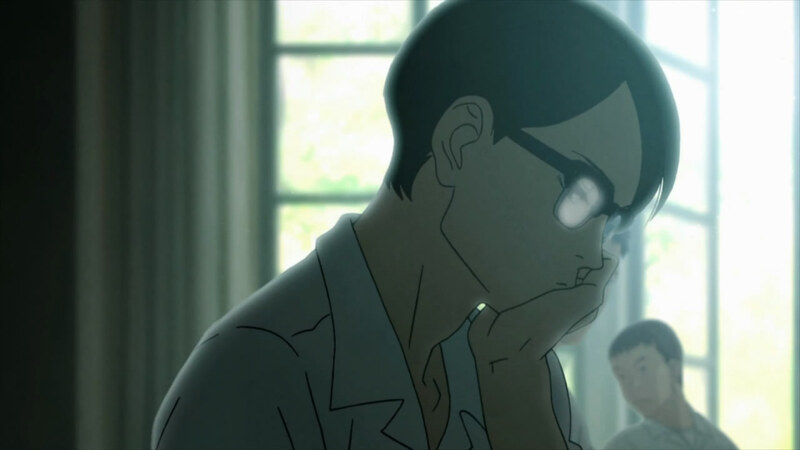 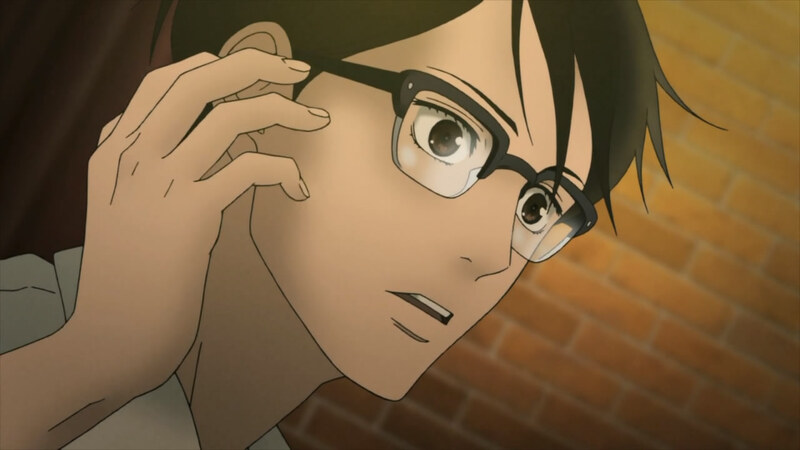 Sakamichi no Apollon definitely doesn't disappoint, even with the huge expectations a lot of people already had for it. 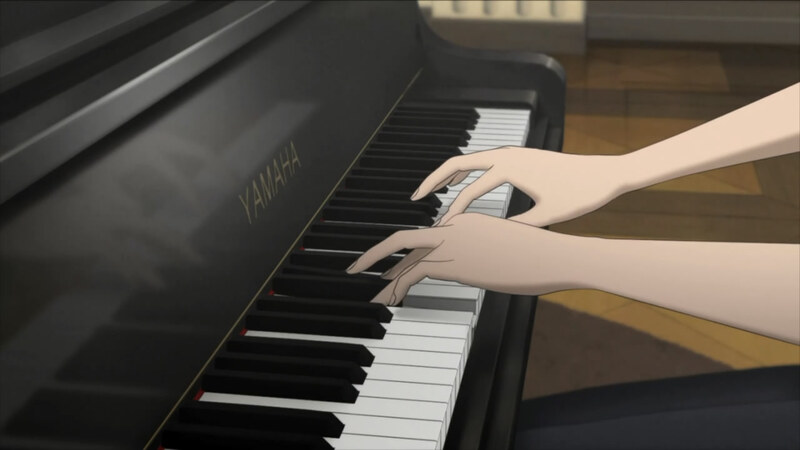 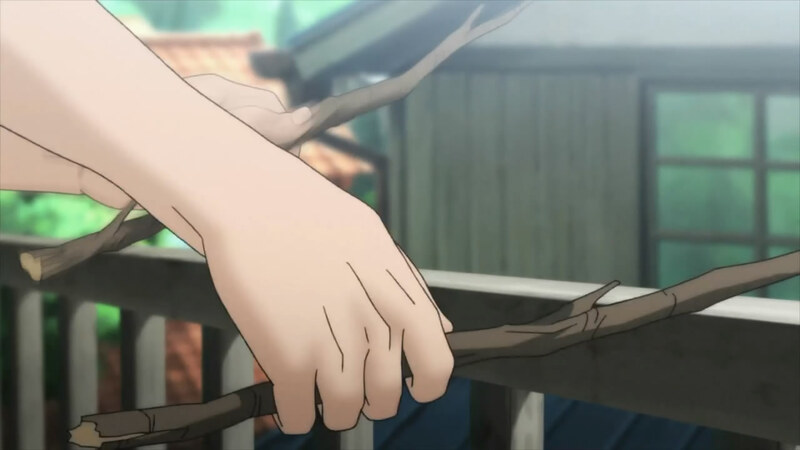 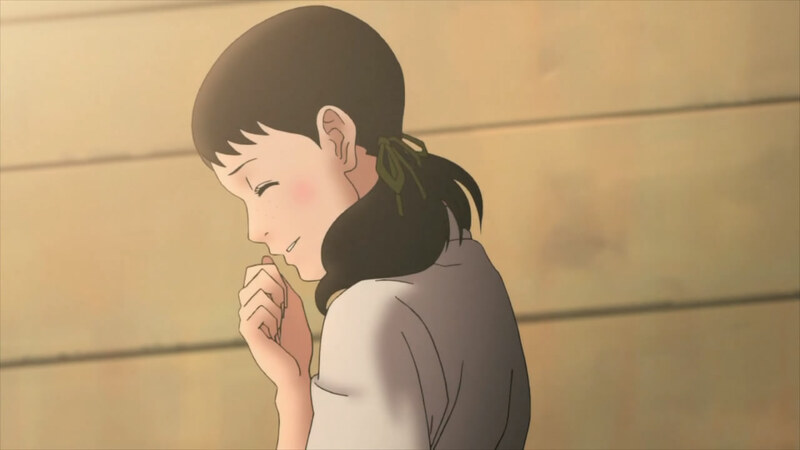 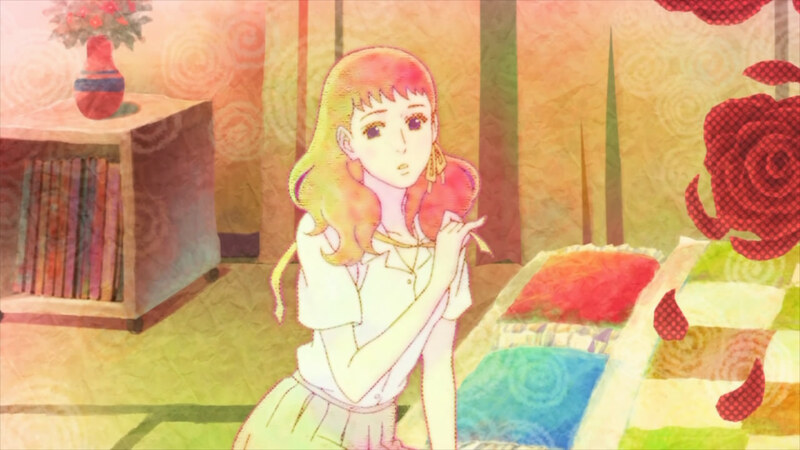 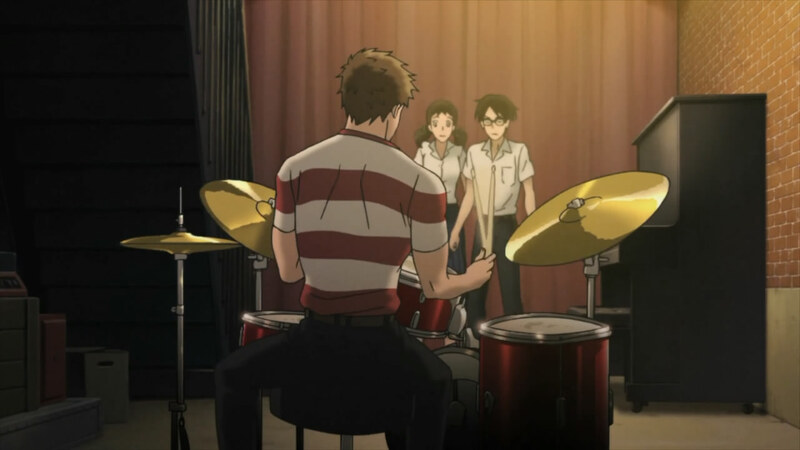 For a series about music, they did a great job in teasing viewers with snippets of classical and jazz pieces, as well as Sentarou's awesome drumming. 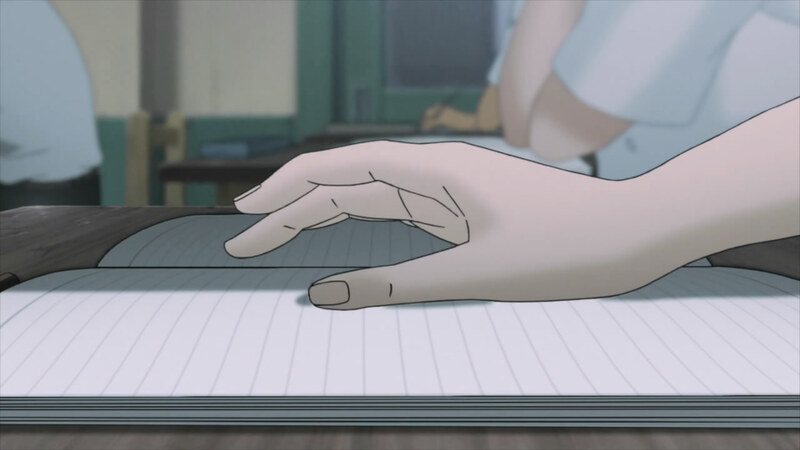 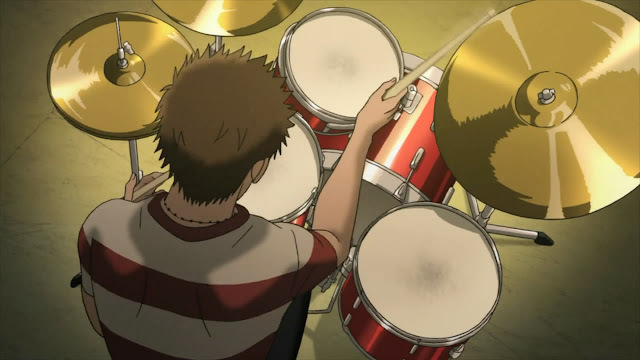 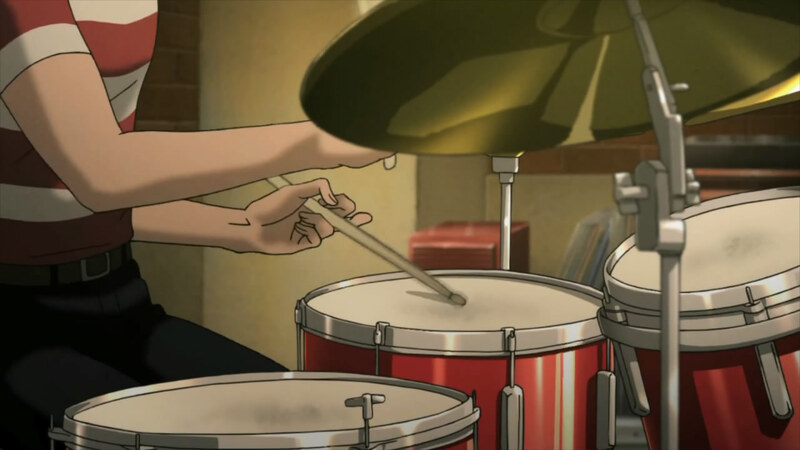 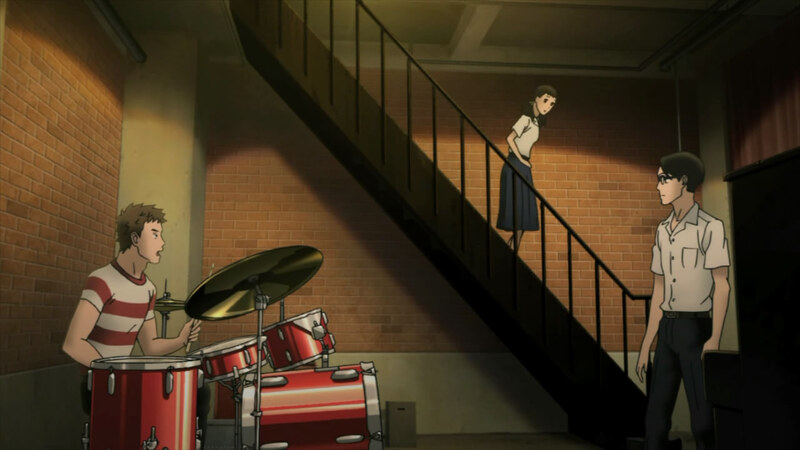 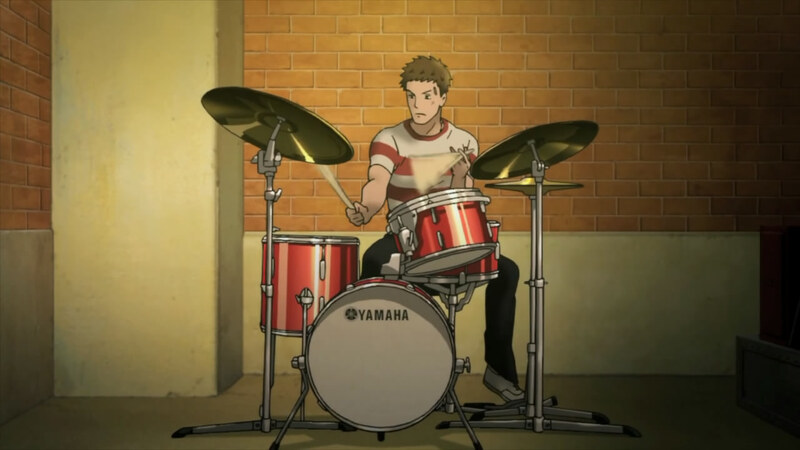 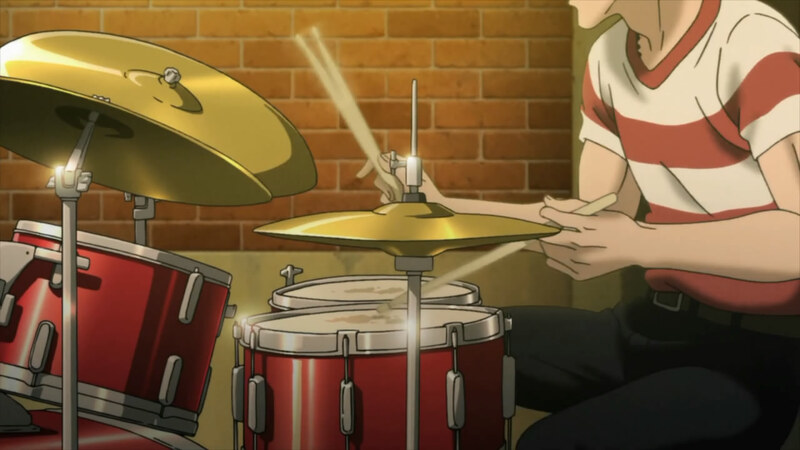 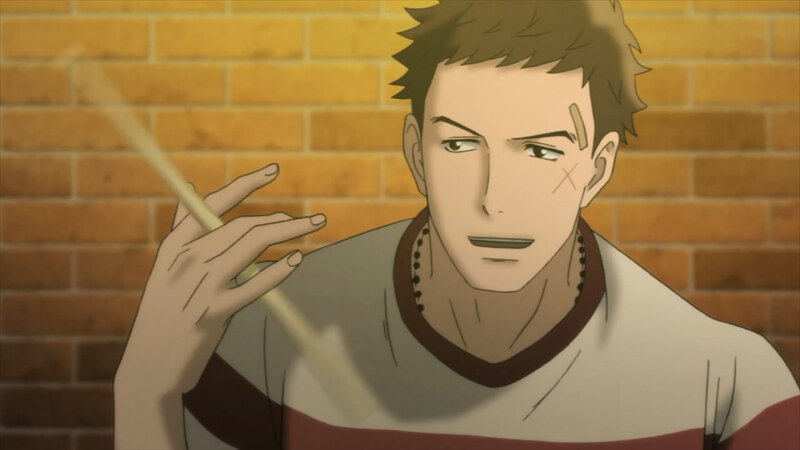 That particular drumming scene is possibly the most fluid (and fastest-moving) music-playing scene ever animated! 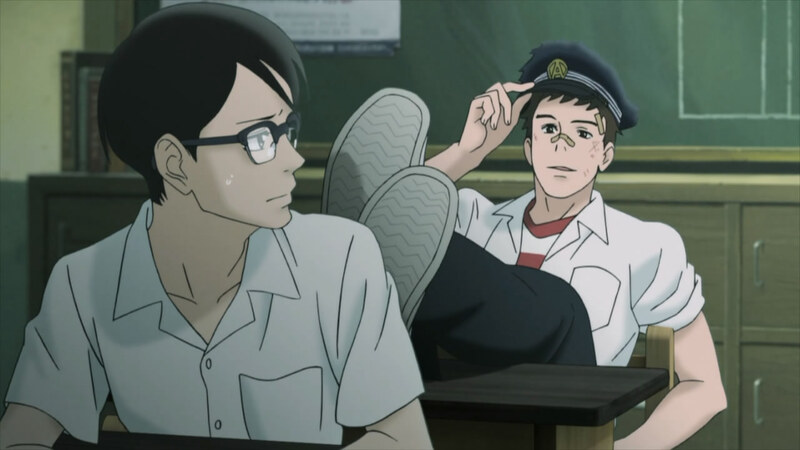 The two boys have been really great characters so far. 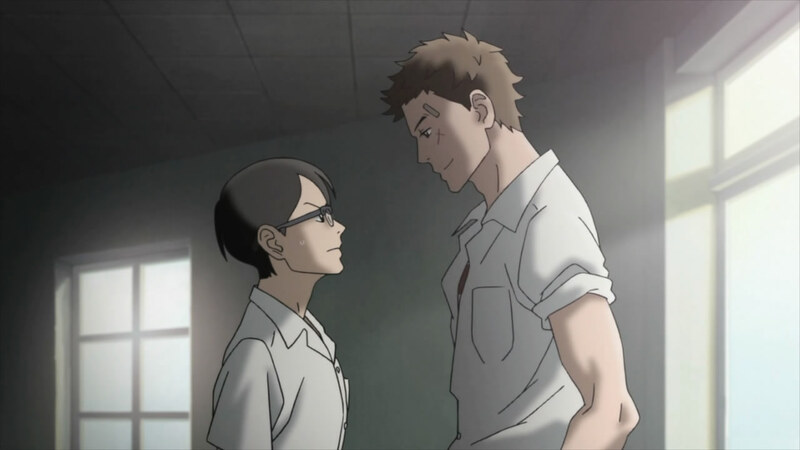 The writers did a fantastic job showcasing their personalities very quickly by having them interact and draw out the stark contrast between them. 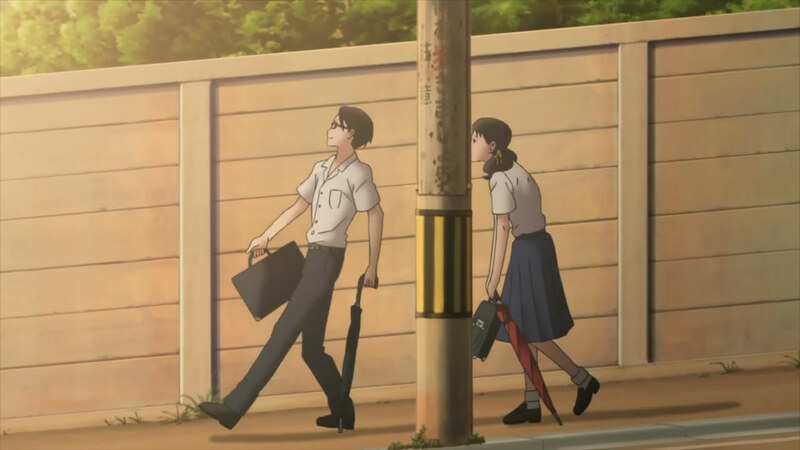 Ritsuko acts as a simple catalyst this episode, but I wouldn't put it past them to flesh her out a lot more in the next few episodes. 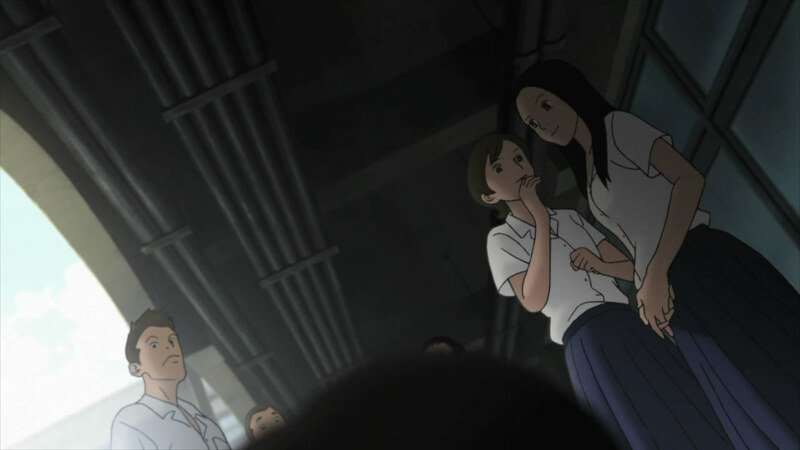 While the episode did not look that great to me at first, a repeat viewing allowed me to appreciate the shots, especially the lighting and colours, a lot more. 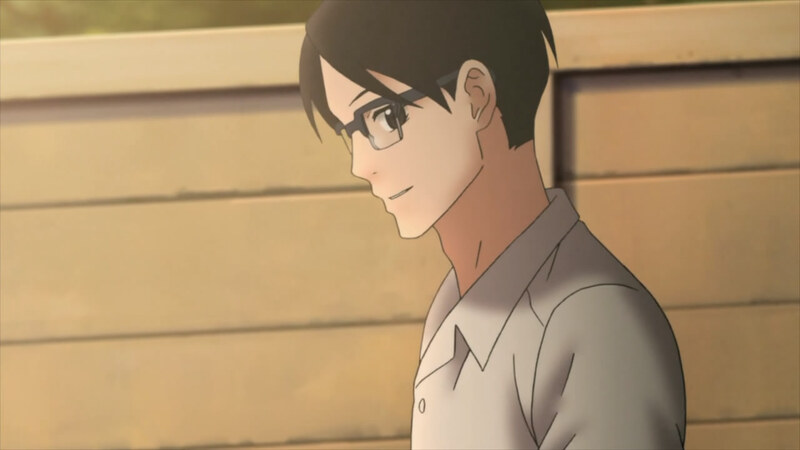 Just look at these screenshots!